The simple answer is we believe everything we have comes from God. We give because we believe God has entrusted us to be people of influence for hope in our church, community and world. The Bible teaches that a guideline for giving is called the tithe (Leviticus 27:30). A tithe is giving 10% of our financial increase back to God. Why is giving so important in a Christian's life? Giving an act of worship (Matthew 23:37; 1 Corinthians 16:2). Giving is an indication of a person growing in spiritual maturity (2 Corinthians 8:1-7). Giving is an act which Jesus expects us to participate (Matthew 6:2-4). Giving is evidence our heart is in the right place (Matthew 6:19-21). Giving is evidence we can be trusted with what God gives us and that He can trust us with more (Matthew 25:14-30). 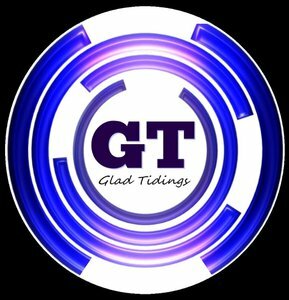 Giving at Glad Tidings is simple and secure. Whether you'd like to give a single gift, or schedule ongoing giving, follow the directions below. To give through texting: from your smart phone, text the dollar amount you would like to give to 84321. Then follow the self-guided setup process and select a payment source. After that, donating is as easy as sending a text. To give on-line: If you don't want to give through texting, but still want to give electronically... Click here and you will be brought to our secure, online, giving platform.